The introduction of steel to this world has brought an effective change into the world of construction and building. Since steel pipes are strong, they are used underground for transporting of water and gas throughout the cities and towns. This steel s is also employed in construction to protect electrical wires. Ancient peoples were using clay pipes for transporting of water but after the introduction of steel pipe made the work more reliable and smooth. Steel pipe provides the faster movement of water and gas without any possibilities of leakage or damage in the middle of the structure. This safe and secured steel quality pipes are only provided by the leading steel pipe suppliers in Chennai i.e. Madhav pipes and tubes Pvt. Ltd. Among the entire manufacturers in Chennai Madhav pipes and steel Pvt. Ltd. as the leading steel pipe manufacturer in Chennai manufactures the best quality of steel pipe. While manufacturing the steel pipes they first determine the best quality of raw material to be implemented. Then a team of highly skilled and trained manpower does their best to manufacture a highly improvised and best quality steel pipe. Then a team of experts check the quality after the product being manufactured. The entire manufacturing process is strictly adhered to provide a best quality product to our customer and gain their loyalty. They are concerned in best steel pipe dealers in Chennai to deliver steel pipes. Madhav pipes and steel Pvt. Ltd. as a company have a great customer service and also have great dealings with all leading importers and stockiest to help the clients in tracing the best quality material. 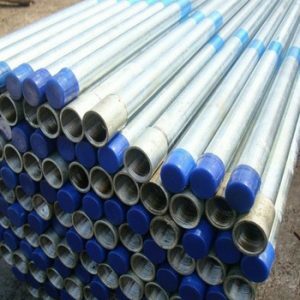 Galvanized iron pipes or the GI pipes are the pipes that are generally used for the distribution of treated or raw water in rural or urban areas. The GI pipes are cheaper, light weight, and easy to handle. The application of a layer of protective zinc coating to steel make it eligible for preventing from rusting. In the world of vigorous competition every manufacturers are in the way of making money but Madhav pipes and steel Pvt. Ltd. is such a customer oriented company who believes in the customer satisfaction by providing the best quality of GI pipes hence they are the most leading GI pipe supplier in Chennai. We introduce ourselves as one of the leading supplier, dealer as well as manufacturer in Chennai. Among all the dealers in Chennai Madhav pipes and steel Pvt. Ltd. is the best GI pipe dealer in Chennai. 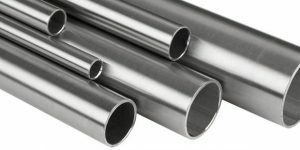 As concerned to the quality of making every time our company is proved as the leading GI pipe manufacturers in Chennai. Madhav pipes and steel Pvt. Ltd industries was established by an ambitious and hard working entrepreneur with a vision in eyes to serve the clients more effectively and provide prompt after sale services. We set ourselves in trading best quality as well as branded products and in a very short span of time we have carved ourselves with a good niche in this province by offering superior and highly qualified products. As leading gi pipe manufacturers in Chennai we supply our products in a bulk to cater customer’s requirement. We are equipped with highly sophisticated and well work oriented ware house widely spread in a large area where all the secured products after quality testing are stored. We commit that our each and every products are highly tested and will provide a guaranteed lifelong satisfaction to existing as well as new customers.